ASMR was once a YouTube niche trend, but now it’s appearing in museums and ads, and funding creative empires. KFC was one of the first brands to capitalize on this phenomenon, but others will likely follow suit. [B]y and large, most people in the ASMR community consider it to be more about relaxation and self-care. Many watch the videos to ease anxiety, insomnia, or depression. Even people who don’t feel the tingling sensation can find the videos therapeutic. ASMR’s is not simply growing in the fringes of the internet. The power that this experience gives artists and others to connect with audiences in a physical and visceral way is bringing it fully into the mainstream. IKEA is one of the brands quick to capitalize on the trend, releasing an ASMR audio version of their traditional catalog. Read more at Fast Co.
Two weeks ago, Facebook talked with dozens of media companies including news outlets such as The New York Times, NowThis and The Washington Post in New York about their content and monetization product roadmap for 2017. Conversations covered Facebook’s plans to fund original shows, the platform’s focus on getting publishers to distribute more long-form videos for Facebook’s video tab and soon-to-launch TV app, and mid-roll advertising products for live and on-demand videos. Many publishers agreed it was a step in the right direction for Facebook, which has struggled to build an ad product that helps media partners generate consistent revenue on the platform. What’s troubling some hard-news publishers, however, is that Facebook’s new plans don’t really seem to have their specific interests top of mind, according to multiple news media executives that were in attendance. Facebook is looking for scripted and unscripted shows covering light genres like entertainment, lifestyle and sports — not hard news. It’s unclear how much Facebook is willing to spend on original content, but the company has been making the rounds in Hollywood to speak with L.A.-based studios and producers, far from New York, where most of the news media is headquartered. Why? Facebook is after TV money, and the big money on TV is for entertainment content, not the latest atrocity in a war zone. As Facebook begins to pursue TV studio content , their goal is to provide a better reason to get people to go to the video tab on their phones and their video app. To do that, they’re going to need programming that’s differentiated, and not what people already get in the news feed. It’s a growing trend of original content that we’ve seen over the past several years from the likes of Netflix, Hulu, Amazon and cable entities that continues to fragment our options and vie for our ever-increasing time spent staring at screens. However, with more options come more niche targeting possibilities. Something to keep an eye on for brands as original content creation the platforms struggles to be….well, original. Facebook is back at it AGAIN… developing new ways to monetize their platform. The social network will soon be introducing 15 second ad breaks for Facebook Live videos within Facebook’s own app and ad breaks for publisher videos uploaded to Facebook. 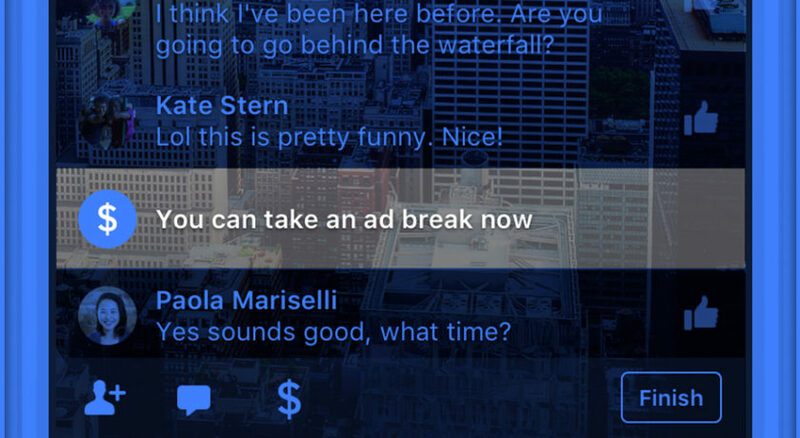 Ad Breaks will allow brands to take breaks for ads during their live videos. When the broadcaster chooses to take an ad break, people watching the video will see an in-stream ad of up to 15 seconds in length. The broadcaster will earn a share of the resulting ad revenue. The action of offering in-stream video ads shows that Facebook is trying to capitalize on the success that Google has seen from its YouTube ad offerings. I believe the beauty of live videos is that this raw content isn’t interrupted by the noise of ads so its going to be interesting to see how brands leverage this new feature and if it will result in drop-offs on their live video content. This week, just one week after the F8 conference that was so highly focused on Facebook’s commitment to video, Google has made two large announcements concerning its digital video tools. This week, YouTube and Oracle Data cloud announced that they would begin tracking sales data for select CPG campaigns to connect the power of YouTube campaigns to in-store purchases. Google announced that early tests showed 61 percent of skippable YouTube ads (TrueView ads) generated significant sales increases. This Gatorade TrueView ad generated $13.05 in sales for every dollar the brand invested in the ad and also generated a 16 percent lift in new buyers who viewed the ad versus those who did not, according to Google. Also this week, YouTube released its 360 degree feature to creators and brands—kicking off with a T-Mobile sponsored stream of the Coachella festival. This releases comes just a week after Facebook’s announcement of its 360 video and live content hub, demonstrating the growing trends and interest in publishing live content to users. On the other side, Facebook and Instagram released a beta program this week for interactive video ads, which would allow users to explore products deeper or even be directed to quizzes simply by hovering over a CTA button in the corner of the video. On mobile, the interactive features are available by swiping on the video and going to a landing page. This new format has proven to increase engagement rates significantly. Why It’s Hot: As YouTube and Facebook go back and forth to claim dominance in the digital video space, both are opening up new features to brands. There is now more opportunity for brands to livestream content to viewers as well as more engaging videos. Moving forward, it will be interesting to see which platform can out-innovate the other, and what new capabilities are most effective for brands. Excedrin is aspirin, one of the first miracle drugs. As one of the US largest and most memorable brands it is well positioned for headaches, but also for low-level migraines. To stay vital and relevant, large older brands often reach into the “insight hat” and develop a campaign around that insight. Clearly, in the case of the Excedrin Migraine Experience, the insight was: “as a migraine sufferer, no one really understands what you go through, but let us help.” The impact of empathy can be a strong brand differentiator. The brand chose different pairs of people — loved one’s, couples, friends — and used the VR experience of what a migraine feels like (which is nauseous and awful) to those people who don’t understand how bad it truly is. The execution is well done and the strategy is powerful: Technology delivering empathy, with a brand helping to bridge the empathy divide between those who do an do not suffer. “I’ll never doubt you again,” is the title of one testimonial. On YouTube in less than a week they have over 300k views. Why is this Hot? This demonstrates that even large, older retail brands are trying new strategies to stay relevant and gain new attention. Relevance, in this case, is embracing technology to deliver emotion. The amalgam of Empathy and VR technology is a strategy that while in its nascent stages, is important to watch as it evolves and matures as a strategy for differentiation. Working in the health vertical, it is clear that between poor reputation, bad User Experience, and stale content, the entire healthcare industry could really use the power of empathy. At the very heart and soul of empathy are the many employees, the creators of miracle after miracle, who could channel that passion to communicate to patients and create greater connection and perhaps treatment favorability. Delivering Empathy through technology might be having a VR experience of how the brain of an ADHD sufferer is wired is one example — for a parent with a child just diagnosed with ADHD that would be very compelling. It is important to note that Excedrin is an “aisle” brand — pure retail. The real strategy is re-activating awareness of Excedrin and downloading coupons. Over the past few decades, BMX cycling has evolved from a niche activity for kids who wear jean jackets and listen to punk rock, to a marquee event at the X Games, to a bonafide Olympic sport. But despite all this, the freestyle form—with the jumps, ramps, and stunts—still holds plenty of outsider appeal. This new video from Red Bull, featuring Scottish BMX pro Kriss Kyle, explains part of how and why Freestyle BMX remains so interesting. The video—called “Kaleidoscope”—transforms a fairly complex course into a giant optical illusion, and sets Kyle loose to ride through both the illusory effects that change around him, and the practical, but complicated, elements. In addition to the video, Red Bull created a site where fans can learn more about the sport, Kyle, and, of course, Red Bull. It’s Red Bull’s DNA, and it’s very well done, which means it appeals to everybody, not just BMX fans. VW then decided that their ad was relevant enough to share with their Facebook fans so they did just that! However, they didn’t realize what could come of this post. The most-liked comment came from a fan who suggested that VW build a futuristic stroller, just like the one seen in the commercial. And leave it to VW, they did just that and created a video to showcase the process. In the video, you’ll notice that it includes a cameo from the Facebook fan himself, and also shows some humorous footage of the stroller in action. “People don’t want to be paid, they want to be paid attention to.” Ultimately, VW truly leveraged social listening and was able to deliver relevant content that was specific and demanded by their audience. 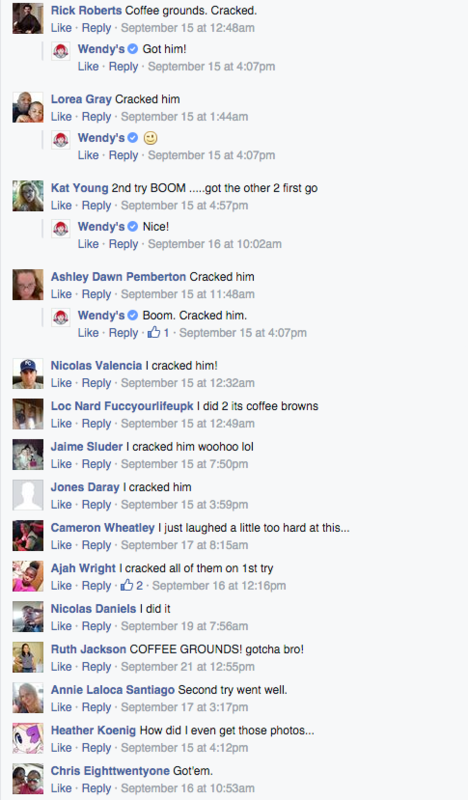 This allowed them to establish engagement organically, which is something that is becoming less common on Facebook. Undoubtedly, videos that create user experiences create brand recognition. Also, considering the pool of video content now being displayed socially, brands are finding it more difficult to stand out and engage with their audiences organically. 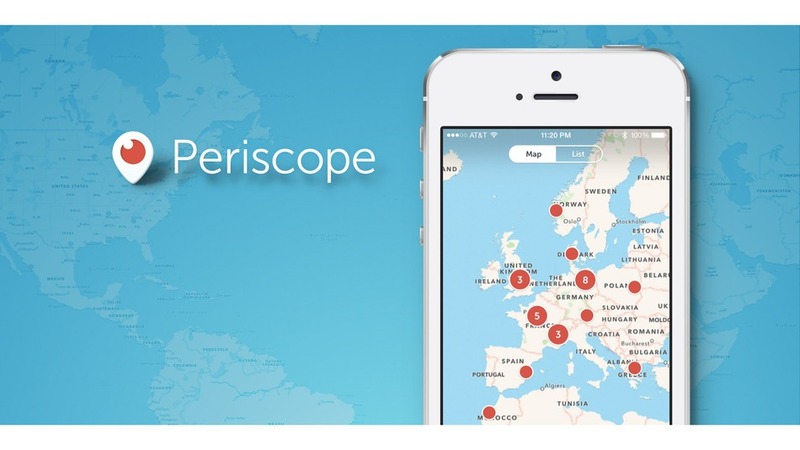 This is certainly an interesting, share-worthy idea that grasps the viewers attention. Everyday we see the effect that video content has socially but what makes these videos truly interactive is that they create user experiences. 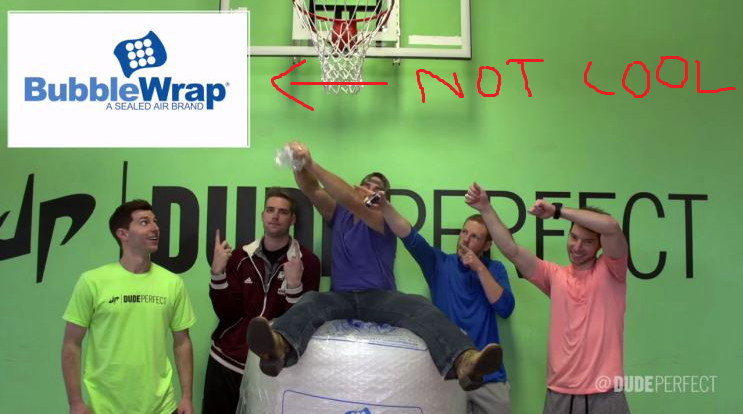 This simple concept made me watch the entire video clip from start to finish and was able to keep me entertained and acknowledge the brands. Google says that “how-to” searches on YouTube have grown 70 percent year-over-year, adding that “more than 100 million hours of how-to content have been watched in North America so far this year.” And guess what, much of this activity on YouTube is happening on mobile devices. According to Google, “91 percent of smartphone users turn to their smartphone for ideas while doing a given task.” Google also reports that the largest demographic group doing these “how-to” lookups is Millennials. Why this is hot? At the beginning of the social revolution, everybody was talking about “bringing value to consumers’ lives”. Today, the motto is still valid, but not necessary exclusive to social. Viewership rates for YouTube preroll ads are generally abysmal. According to some research, 94 percent of preroll gets skipped immediately after the first five seconds (which are unskippable). And in fact, that number seems low. Part of the problem is, very few marketers specifically tailor ads to pre-roll—they prefer simply to run their TV spots unchanged. But that ignores the fact that those first five seconds are crucial. If you don’t hook people then, you’ll lose them. Geico understands this, though, and is rolling out some fun new digital ads on March 2nd—from The Martin Agency—that really put the emphasis on those first five seconds. Absurdly and comically so. The ads will run as :15s, :30s and even longer spots, but what happens after the first five seconds is part of the humor. Two executions, “Family” and “High Five,” rolled out 3/2 in various lengths. Two more are coming soon. It’s a constant challenge to get the message of your video ad across in the first few seconds of a pre-roll spot. Many times, ads have a 5 second skip, where users can move on to what they planned to watch after 5 seconds. If users watch for a longer period of time, it’s great… but not many people watch the whole commercial. This is a great example of a cheeky way to 1.) get your message across quickly and 2.) get people to watch your full video (note that they had the Geico logo across the screen in the entire video). I’m interested to see how their completion rates turn out! Foot Locker’s effort made the top Instagram video chart among retailers, picking up nearly 28,000 likes and comments since Jan. 29 with a post for its Penn Station location in New York City. But Foot Locker’s successful post ran nationwide, since Instagram doesn’t offer marketers a location-targeting feature, raising an intriguing question: Should the Facebook-owned photo- and video-sharing app incorporate the ability to zero in on consumers based on their whereabouts? The short answer is yes. Location-based targeting features are a must for large retailers with multiple locations, and mobile is the key to driving customers to the local store, which gives Instagram, both a visual and mobile platform, the upper-hand in the mobile, traffic-funneling retail game. Brands will be able to serve relevant videos to users on Instagram, whenever they need it, and wherever they are, increasing traffic to their locations in a more engaging way. Television, the long-dominant medium for sports consumption, is quickly losing ground as audiences everywhere turn to computers, phones, tablets and streaming set-top boxes to watch their favorite games online. These digital platforms are winning the battle for audience attention by providing the kind of flexibility and control that consumers can’t get from standard cable contracts. For example, if you live in New York but root for a team in Chicago, in all likelihood you can’t consistently watch your team’s games on TV. Online streaming solves the problem wherever there’s an Internet connection. took a chunk out of TV ratings from the Big Game this past Sunday. NBC reported that a peak of 1.3 million people streamed the broadcast concurrently, a record for a championship game. Marketers may consider reaching fans more efficiently with a less expensive, multi-channel digital campaign that can be both targeted and measured than moving forward with a seven-figure TV ad. There is potential for brand lift, as ADI explains, online viewers see 66 percent more ads per video when watching sports content than they do when watching non-sports content. The digital space will also have a huge impact on how major North American sports leagues compete for international attention. While leagues, sponsors and sports networks won’t be able to easily reach audiences abroad via TV, the barriers to entry online are so much lower. 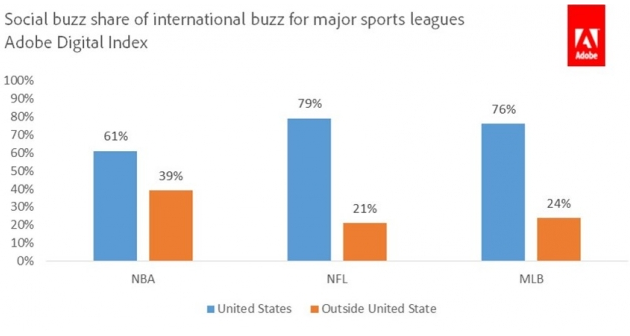 According to ADI, the major basketball, football and baseball leagues have already generated respectable social buzz outside of the United States. This should continue to increase as steaming services and other digital options give fans access to games from remote locations. This information shows how much the playing field has shifted for sports media in recent years, and how much potential there is to keep evolving. Just as radio broadcasts gave way to TV, it’s clear sports consumption has entered a new, digital era. 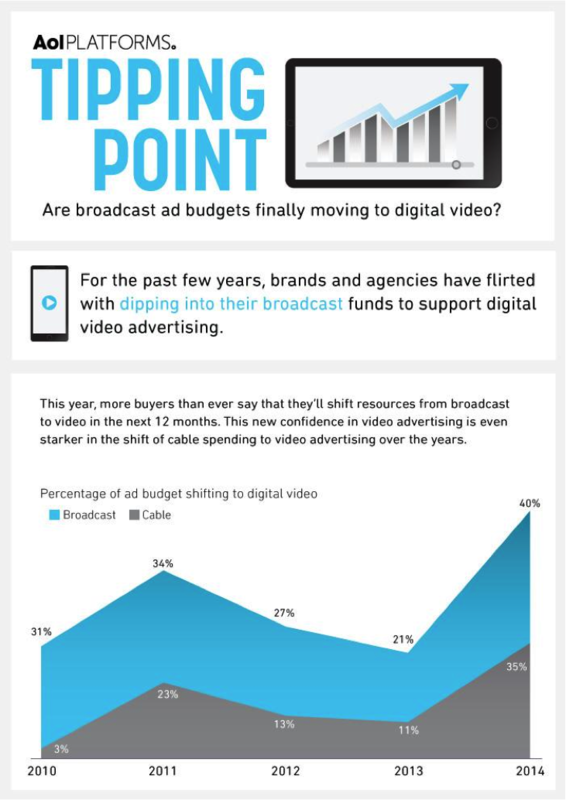 Broadcast ad dollars are finally starting to stream into digital video budgets. In a study sponsored by AOL Platforms, 40 percent of media buyers say they will move funding for traditional TV buys to digital video. This up about 76 percent since last year. Cable has seen a similar shift, with 35 percent of media buyers planning to move part of that budget to digital video (up 40 percent since last year). Video ad growth is impossible to ignore. 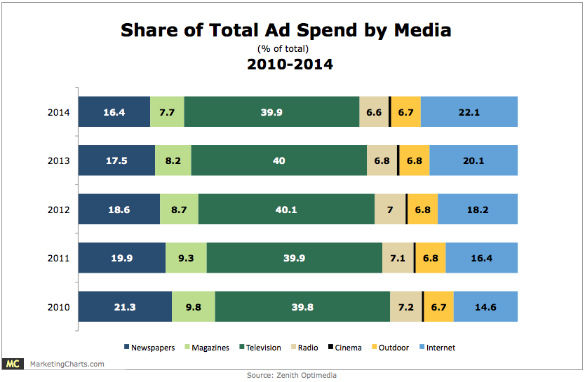 Programmatic is overtaking publisher-direct buys. 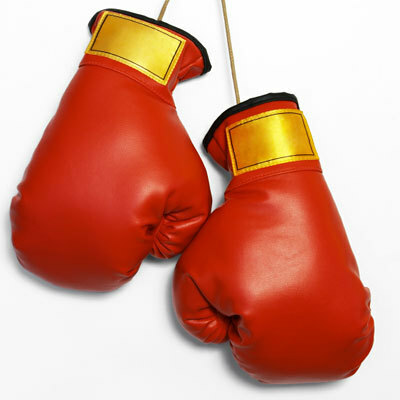 Viewability vexes both buyers and publishers. 1- For us as a digital agency, taking share from traditional TV buyers outside of our company can get us more business. Besides just that, we can actually put tracking in place and MEASURE performance- something traditional TV can only directionally hypothesize about. 2- This is particularly timely for our media team, as our client has considered giving digital media a larger share of the overall budget because of the success that’s it’s brought the campaign, versus TV, which is not measurable. Can we beat TV’s ability to drive awareness? No, nothing can replicate it, but can we try to bring a comparable experience at a fraction of the cost? Absolutely. In a Harris Poll Survey of 2,300 Americans, 23% said they are watching more TV via streaming than they did 1 year ago, while 37% say they are watching the same amount as last year, and 7% say they are watching less. Streaming continues to grow, though a bit slower than in past years. Millenials lead the trend, with 47% preferring to stream TV shows vs. watch them via traditional TV. As they mature and become a dominant force within the population, so will their preferences, but do we have to wait that long? 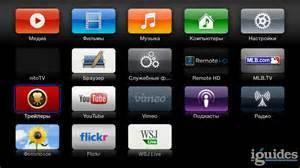 Consumers have ideas about what might be offered via streaming, which would increase their viewing via streaming. For example, 60% of survey respondents indicated that they’d like to be able to view pilots online and then vote on those that should be selected to run during the regular season. Why It’s Hot: Three reasons: 1.) Pre-roll/mid-roll spot-buying is far more efficient (especially for long-form commercials – e.g., :60s, :90s) than TV-buying. 2.) 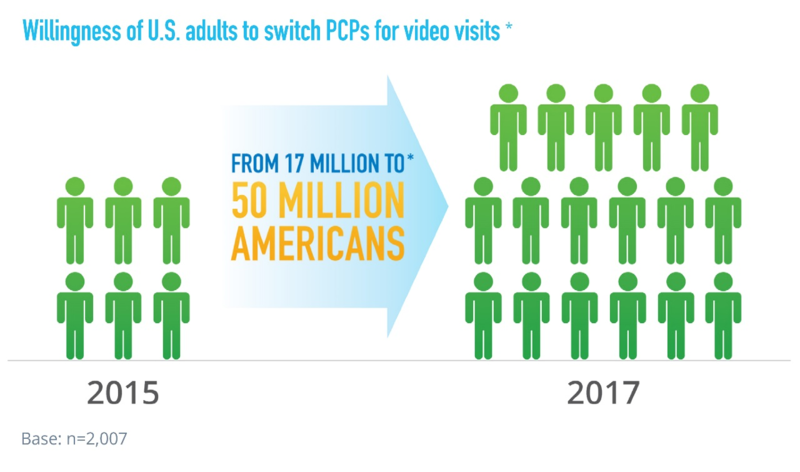 A large-scale study by Nielsen & the IAB indicated that TV spots that are delivered digitally are also 2x more effective in increasing ad recall. 3.) 40% of media budgets still spent on TV, with many large brands’ budgets in excess of $100MM. In summary, digital delivery has the potential to greatly increase clients’ TV spot efficiency and effectiveness, and as digital video scale increases (i.e., consumer viewing), this will drive a major shift in spending that will benefit the agencies who are most skilled in the area of digital video distribution.